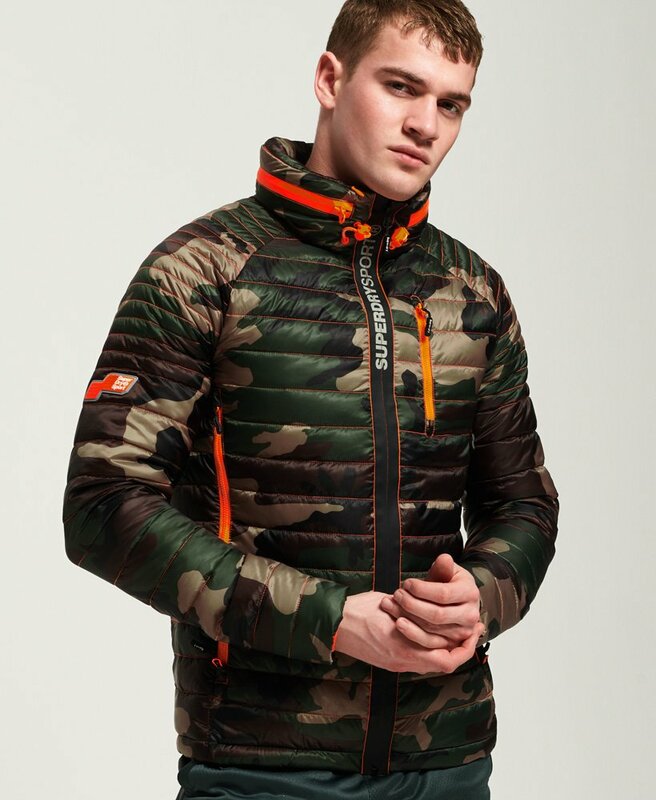 Superdry men's Power Pop camo jacket. For when you need a cover up on the way to that early morning gym session, the Power Pop camo jacket has got you covered. Featuring a single zip fastening, bungee cord adjustable hood that can be easily concealed with zip fastening and elasticated cuffs. This jacket also features zip fastened pockets on the chest and an adjustable bungee cord hem for your perfect fit. The Power Pop camo jacket has been completed with a rubber Superdry Sport badge on the sleeve.